Welcome to Starks week. It wasn't planned, but when a guy does what he did, there's going to be a buzz. 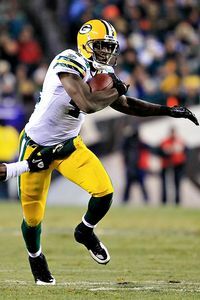 Indeed, everybody is talking about James Starks. Once a pipe-dream savior in the minds of only the most obsessive Packers fans, he's now fresh off his first 100-yard game and appears to be the best running back on the team. Not to take anything away from the other guys--they have their roles--but he combines the best features of Brandon Jackson and John Kuhn and adds his own explosive element to the position. Add the bonus of a pair of fresh legs at a time when most players are tiring, and people are saying he's going to be the key difference maker this Saturday at Atlanta. But why? He's only had one game as the featured back. Could a rookie RB honestly make the #6 Packers sudden favorites over the #1 seeded Atlanta Falcons? A team who already beat them in week 12? To answer that, let's take a look at why Green Bay lost to Atlanta in the regular season. Going into week 12, the Packers seemed to have figured out how to best utilize their non-injured personnel. Mike McCarthy finally embraced the team for what it was: a passing machine with little need for a ground attack, while the defense terrorized quarterbacks and forced turnovers like it was 2009 all over again. The team owned a +75 scoring margin in the previous 3 games, and everything was rolling. 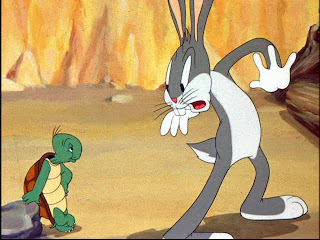 The Falcons were the fabled Tortoise to the Packers' Hare. While Green Bay racked up the passing yardage and played an incredibly aggressive brand of football, the Falcons played it slow and steady, taking the Packers' play making defense out of the equation. Aaron Rodgers out-threw his counterpart Matt Ryan 344-197, yet in the end the Falcons outlasted the Packers and Matt Bryant hit the final field goal to win 20-17. By all counts it was a great game, a rare playoff preview that actually lived up to its billing. But as close as the game was, the difference between the teams could be summed up with two plays: Aaron Rodgers' fumble at the goal line on a sneak attempt and Michael Turner's 1 yard TD run. Essentially, the Falcons had a reliable running back, and the Packers didn't. But Starks changes that. Granted, he won't have the surprise factor on his side this time around, but I'm not sure that will even matter. Green Bay's problem on the goal line was that the quick Brandon Jackson couldn't fall forward when met by a linebacker, while John Kuhn took too long to get to the line of scrimmage for falling forward to even matter. The 6'2" 220 lb. Starks can get to the line and power the ball through the plane for the touchdown. Do I think Starks will carry the team on his back? No. But I do think he can fill the void. No Flags - These two teams were the two least penalized in the NFC this season, and the Packers had their second highest penalty total in the first meeting with eight. I'd look for a much more disciplined Packers squad this time around. Who will be the surprise contributor? The Packers champion their depth, and frequently this season an unexpected player emerges to help them win a game. Against the Giants Jordy Nelson set the tone early, the Bears saw Erik Walden burst out with 3 sacks, and the Eagles were trampled under the cleats of Starks. Perhaps FB Quinn Johnson will find the end-zone? Receiver Redemption - My gut says the receivers will bounce back in a big way after an embarrassing showing at Philadlephia. James Jones in particular has shown a knack this season for following up poor performances with solid games. Let Woodson do what he does best - I loved what Dom Capers did with Charles Woodson last week: let him roam the middle of the field and disrupt in whatever way he deems fit, be it by blitzing, dropping into a zone or simply shadowing the QB. Woodson has lost a step, but his instincts and knowledge of the game make him a very valuable weapon. Hopefully Capers uses him again to help disrupt the always calm Matt Ryan. Stopping Weems - The Falcons special teams played a big role in the first match-up, with Eric Weems getting a big kick return to set up the game winning field goal. Though it's gone through some rough spots, the Packers' kick coverage has improved since the New England game, and if Slocum can keep Weems contained it will go a long way toward getting him off the hot seat.